Cut avocado and remove pulp from seed. Mash roughly. Add lime juice and salt, plus a liberal amount of freshly ground pepper. Butter one side of each slice of bread. Add mayonnaise to the inside of the slices. Assemble layers of cheese, bacon and avocado. Cook in butter at medium heat until golden on the outside and the cheese has melted. Flip to other side and repeat. Serve with tart lemonade or rich iced tea. 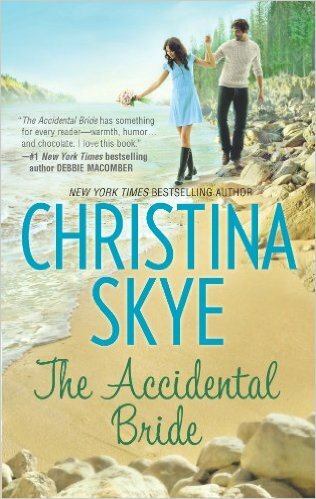 Read an excerpt from THE ACCIDENTAL BRIDE here. Download THE ACCIDENTAL BRIDE recipe card here.